i have officially found my favorite muffin to make from scratch. channing and i have made a new batch every monday afternoon for the past 3 weeks. she loves them as much as i do. 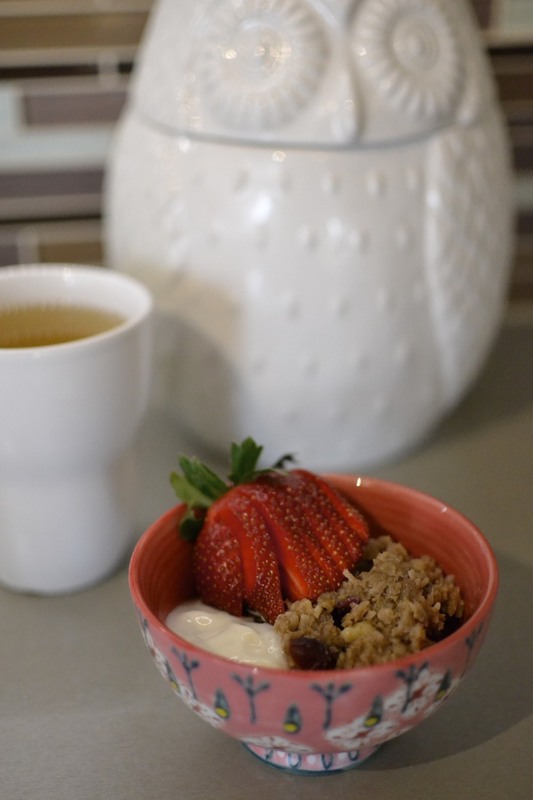 and, now that i have a couple of the ingredients (that i don't normally have in the house, like oat bran and bran flakes), they are so simple and easy to make. the recipe is from one of my favorite new cookbooks supernatural everyday by heidi swanson. there are so many yummy recipes in this book. it is a must have for your cookbook collection! Preheat the oven to 400 degrees with a rack in the middle of the oven. Generously butter a standard 12-cup muffin pan. 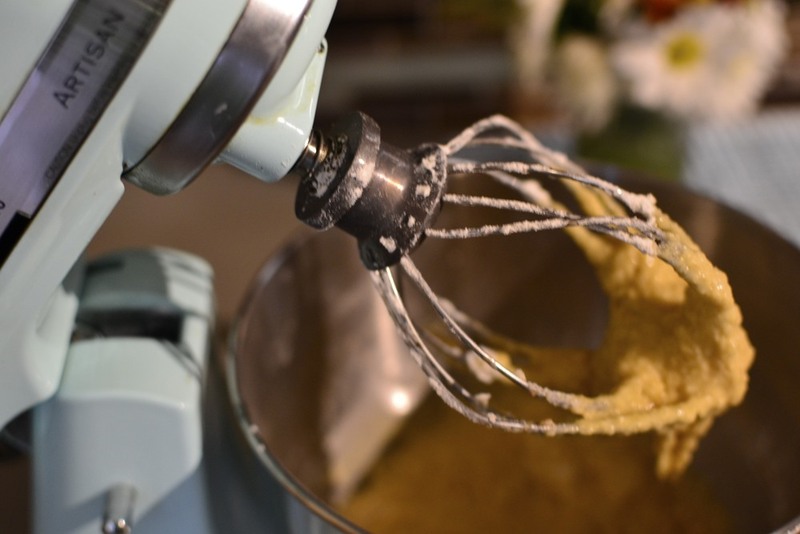 In the meantime, in a separate small bowl, whisk together the flour, sugar, baking soda, baking powder, and salt. Sprinkle the dry ingredients over the top of the wet and stir until just combined. Immediately fill each muffin cup three-quarters full. 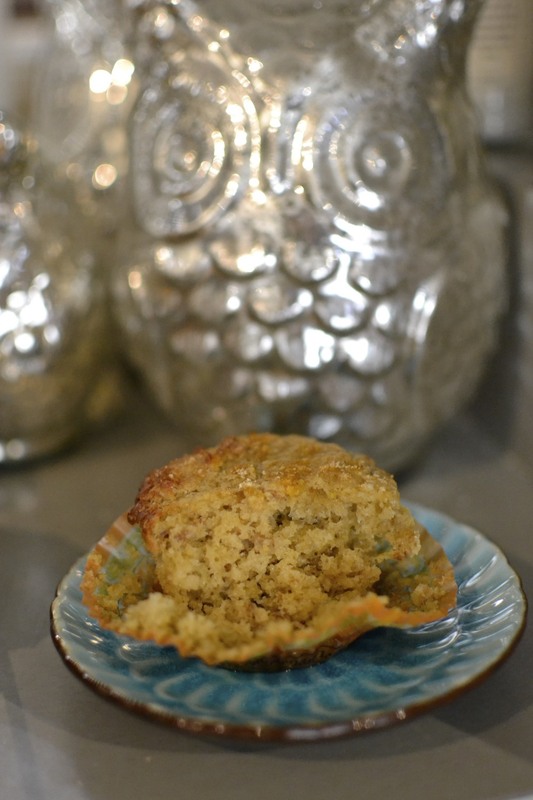 I have been adding a little something extra special to the tops of these muffins before I bake them and we really love it. I squeeze a little orange or tangerine juice over the tops then sprinkle a bit of flax seed and grated orange peel over the top. This week we also added a little sprinkle of course natural sugar too. Bake for 18 to 22 minutes, until the edges of the muffins begin to brown and the tops have set. Let cool for 5 minutes in the pan, then turn the muffins out of the pan to cool completely on a wire rack. December 22, 2013 by Tara Gray. butternut squash soup is one of my absolute favorites, especially this time of year. but, it often has heavy cream in it and i was looking for a healthier version and simplicity was key as well. i think i nailed it. this is a combination of several recipes that i experimented with at the end of last week. i am beyond happy about it. it is healthy, affordable and simple. no dairy, no gluten and also vegan. We added some shredded parmesan on top for serving but of course, if dairy free or vegan is your goal, that doesn't need to be added. i apologize that i only have one photo to share...i made this with channing running around and my camera battery was dead so one photo of the end product is all you get...along with the recipe. I think this recipe would also be really good if you included some apples too, during the roasting process...i think i might experiment with adding that in next time. 1. preheat oven to 400 degrees. using a small piece of foil, wrap up the shallots and drizzle with 2 tablespoons of olive oil. wrap up the pouch. 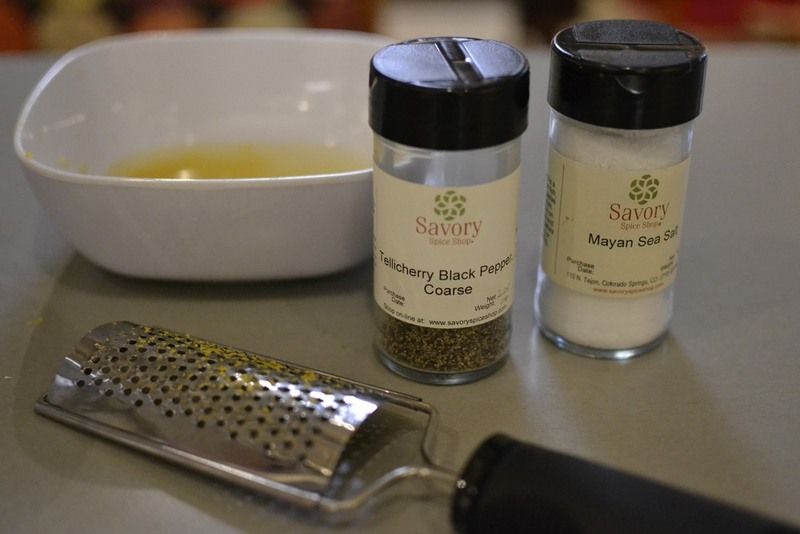 do the same with the garlic cloves in a separate foil pouch but only add 1 tablespoon of olive oil. set both pouches aside. 2. line a cookie sheet with foil and spread out the potatoes and cubed butternut squash . in a bowl, combine 1/3 cup olive oil, agave, salt, paprika, coriander, pepper and cinnamon. drizzle evenly over potatoes and butternut squash. place foil packets of shallots and garlic, along with the cookie sheet, in the oven and roast for 30-40 minutes. once roasted, squash and potatoes should be tender. remove everything from the oven. 4. once puree is completely smooth, transfer pureed vegetables, left over stock and 1 cup of water to a large pot on the stove. bring the soup to a simmer and add any additional seasonings to taste. i like mine sweeter so i added just a pinch more cinnamon and coriander while on the stove. serve and enjoy! serves 4 large bowl servings. October 14, 2013 by Tara Gray. when i was a little girl, i got to spend a lot of time with my great grandmother on my dad's side. she made me ramen noodles and pudding pops. 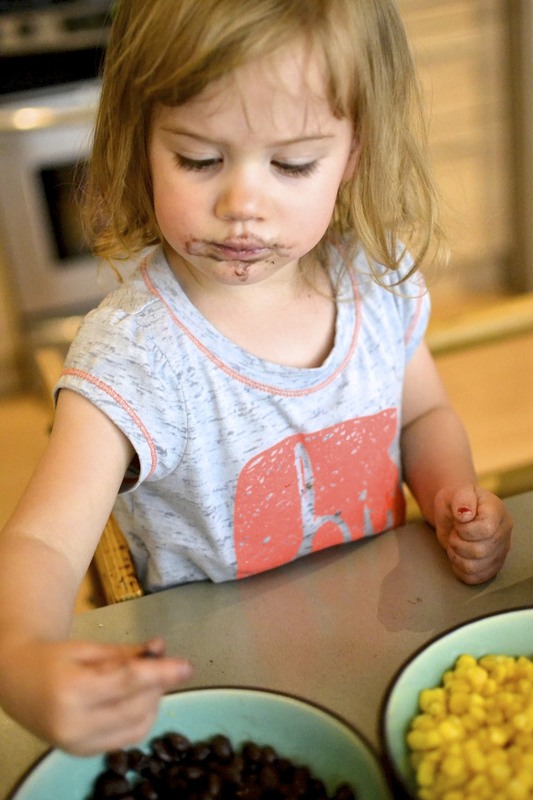 always pudding pops. and vanilla was my favorite. she made the jello instant brand and it was heaven. such a simple recipe and flavor but a really wonderful memory. 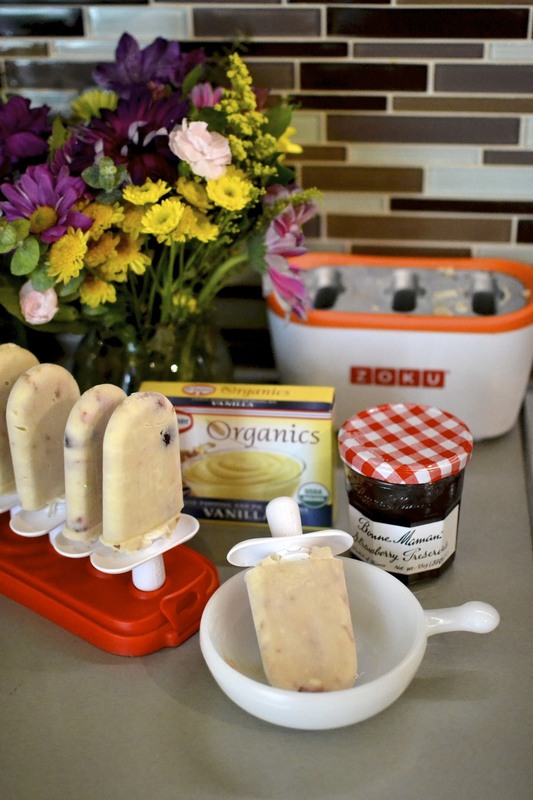 we've been having lots of fun lately with our zoku pop maker so i thought i would give my favorite pudding pop a try. i simply used an organic cooked vanilla pudding mix that i found at the local natural food store. once it was cooked and cooled to room temperature, i swirled in a little bit of our favorite strawberry jam, from bonne maman. these did take a little longer to freeze than other recipes, and they turn out a bit soft but...they are seriously fantastic!! someone else thought they were pretty delicious too. July 9, 2013 by Tara Gray. it's getting hot around here and i have become addicted to making ice cream sandwiches. i found the original recipe here from tracy shutterbean. i made her lemon blueberry recipe a couple of weeks ago and we loved them. the cookie is perfect for ice cream sandwiches. 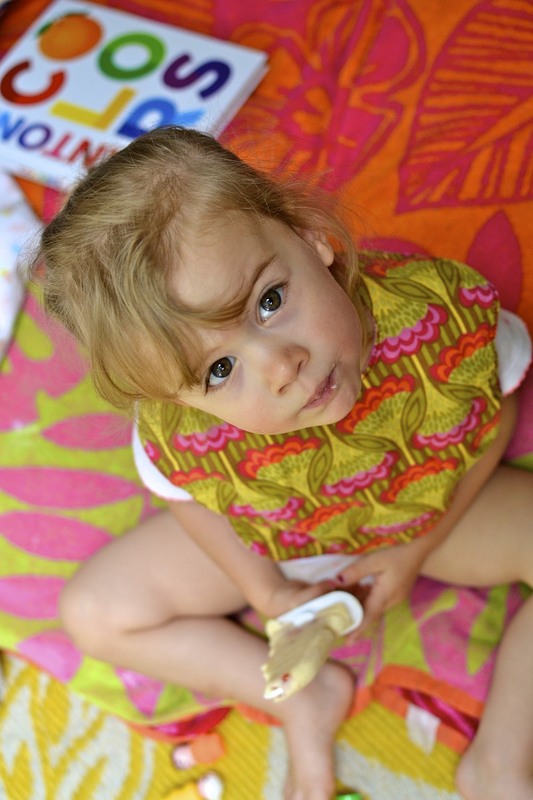 it is sweet but doesn't take away from the flavors of the ice cream. perfect for concocting different ice cream flavors. the recipe is pretty easy to make, which i also love. today, i adapted her recipe today by switching out the blueberries for a strawberry and mango mixture. i kept everything else the same as the original recipe. they seriously taste like summer and look so pretty! perfect on a hot sticky day. June 27, 2013 by Tara Gray. i've purchased a new cookbook and let me tell you...i am really enjoying it! it's gwyneth paltrow's new book "it's all good". even if you don't have to eat gluten or dairy free, it inspires clean eating and everything still tastes really good. 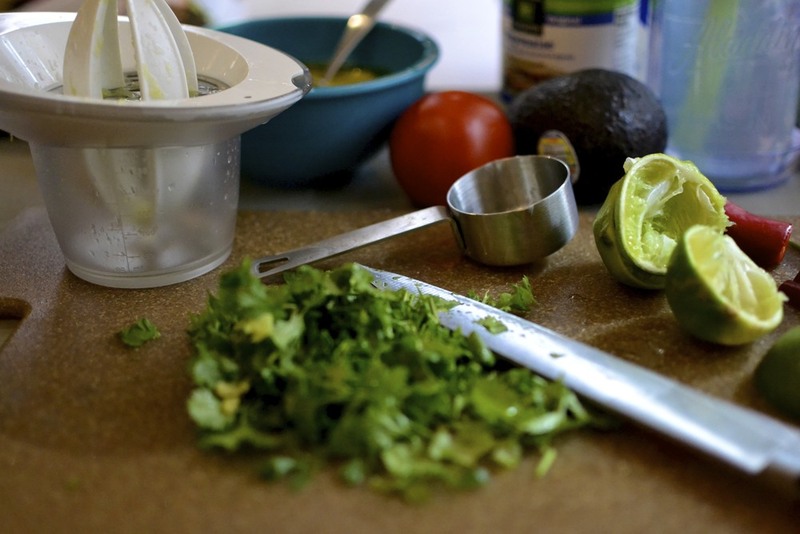 my first recipe was the mexican chopped salad with mexican green goddess dressing. i followed the recipe exactly, except i added some grilled chicken to the salad for luc. 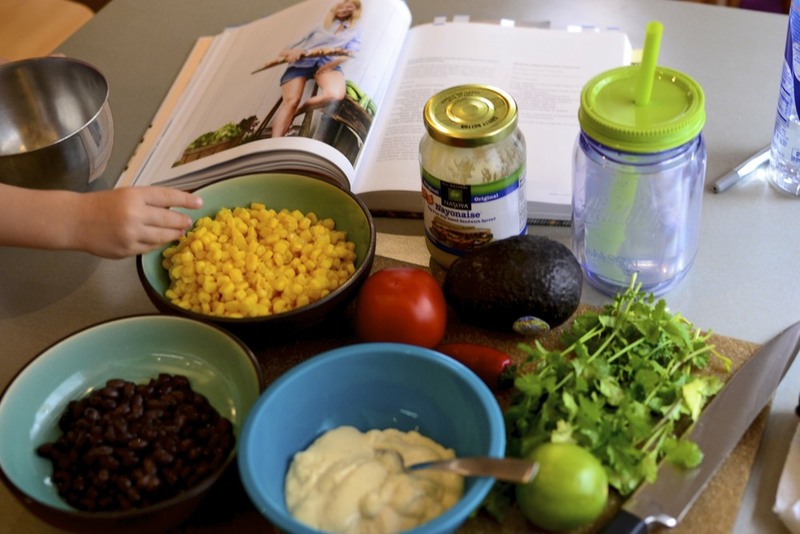 you can easily switch out regular mayonnaise for the veganaise and substitute frozen corn for whole corn on the cob. i am absolutely making it again. i think it would be perfect for a dinner party. 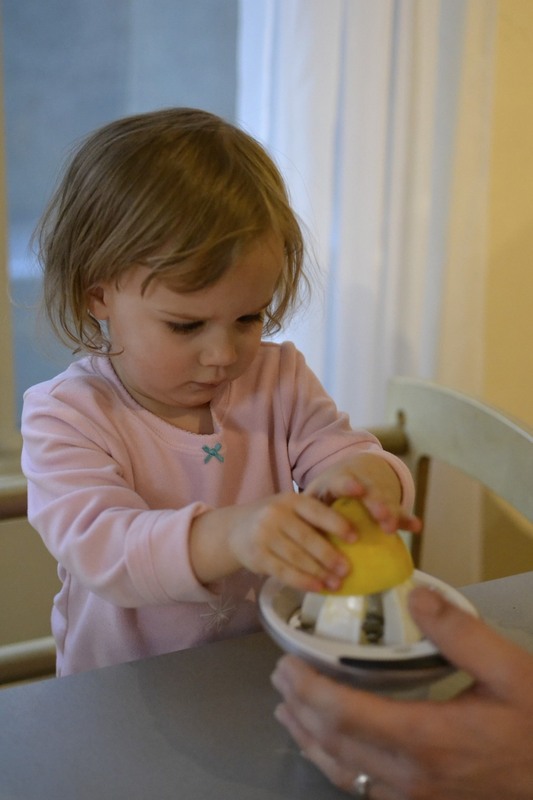 and...i had a pretty cute little helper who also enjoyed the healthy meal! the mexican green goddess dressing was fantastic, and made plenty to be enjoyed throughout the week! helping daddy grill. she's a very good helper! Once the corn is cool enough to handle, remove the kernels from the cobs. Just use a knife and run it close to the cob and the kernels will cut right out. 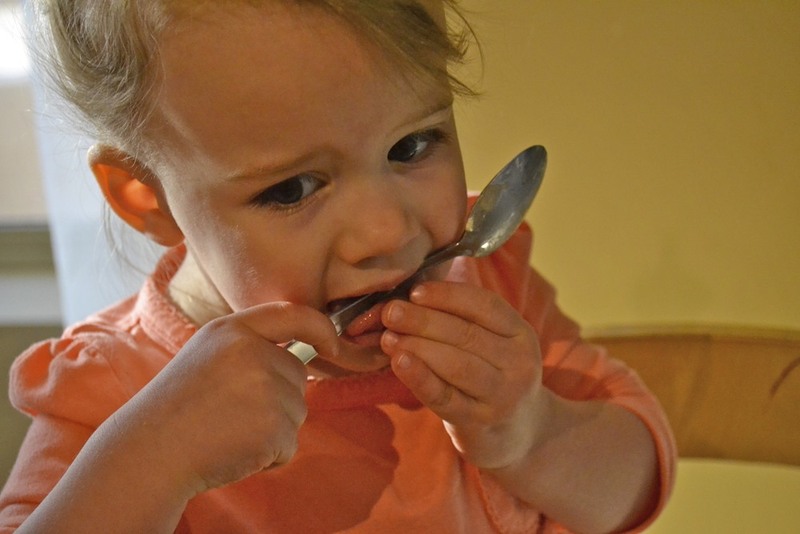 It’s best to do this right in the bowl. Add the beans and cilantro to the corn, and mix. 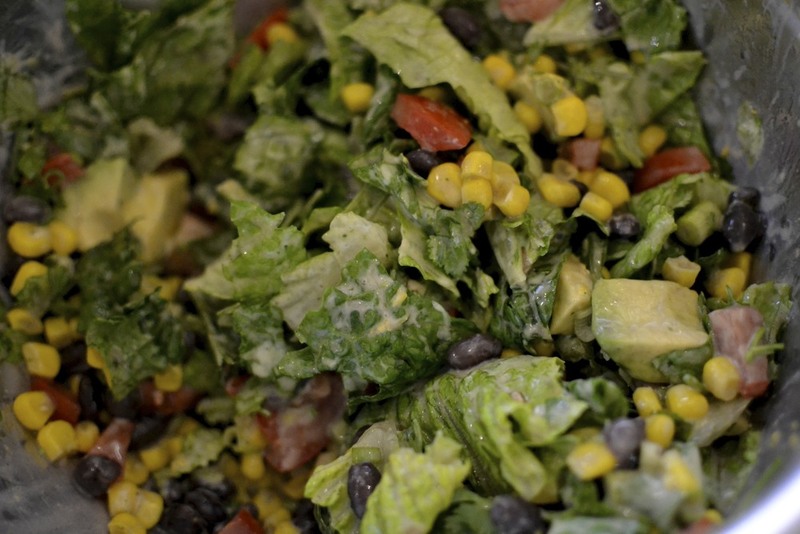 In a large bowl, add all salad ingredients, including the corn and bean mixture, and combine well. June 19, 2013 by Tara Gray. after 4 tries (and 2 complete fails) i think i finally have the right recipe put together for crock pot baked oatmeal. channing loves making this with me since we basically pour everything into the crock pot and mix it up...she is an excellent mixer. one of the biggest challenges i've had with this recipe is finding the right combination of moisture to cooking time. this recipe might need a bit of variation if you are at lower altitude as well...things tend to dry out faster here in colorado so i've added quite a bit of liquid. 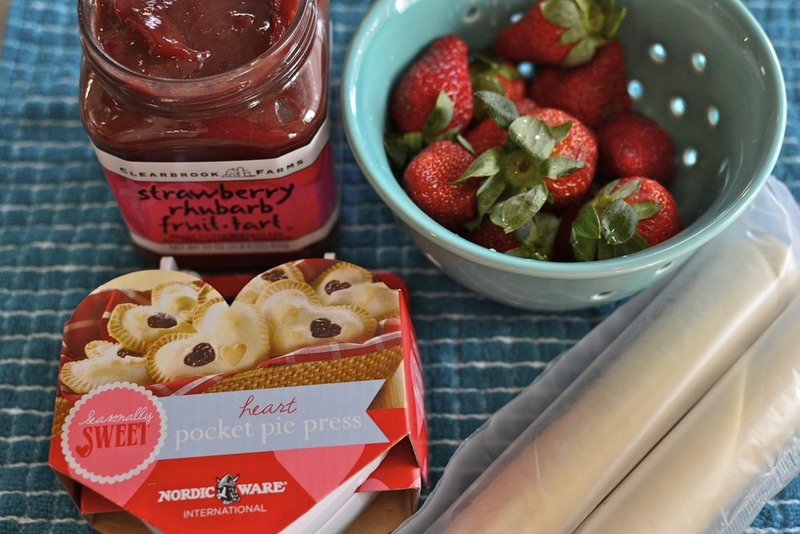 i like mine baked so it is still slightly gooey, not too crunchy, and served with strawberries and vanilla yogurt! April 3, 2013 by Tara Gray. have you ever eaten chicago style pizza? it's our favorite and when we visit chicago, we eat ALOT of it. luc has been on the hunt for the perfect recipe to try. we are pretty certain he found it and he said i could share it! (even though he kind of wants to keep it as his own secret recipe). what's the difference between chicago style and "regular" pizza? it's deep dish and the crust is actually a combination of both pizza and pie crusts. it has a bit of buttery goodness to it. trust me, you'll like ! a head's up...this is a time consuming recipe. it takes about 3 hours but man oh man was it worth it!!! 4. 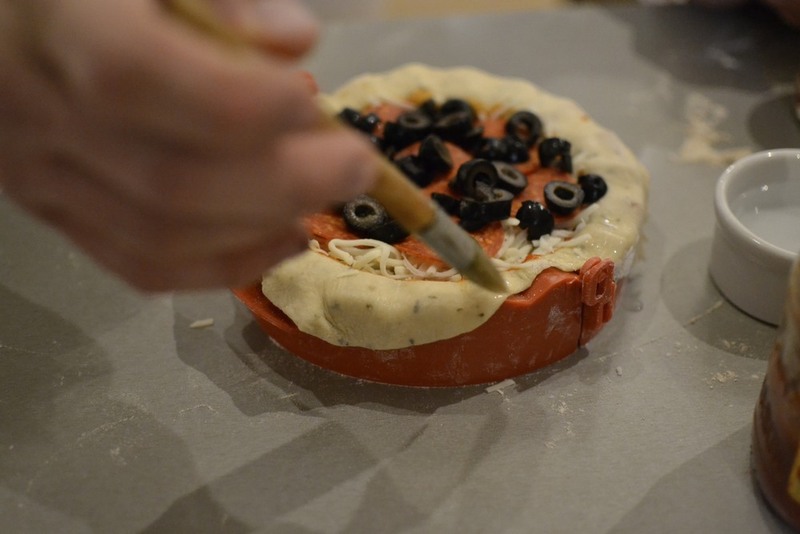 TO LAMINATE THE DOUGH: Using rubber spatula, turn dough out onto dry work surface and roll into 15- by 12-inch rec-tangle. Using offset spatula, spread softened butter over surface of dough, leaving 1/2-inch border along edges. Starting at short end, roll dough into tight cylinder. With seam side down, flatten cylinder into 18- by 4-inch rectangle. Cut rectangle in half crosswise. Working with 1 half, fold into thirds like business letter; pinch seams together to form ball. Repeat with remaining half. Return balls to oiled bowl, cover tightly with plastic wrap, and let rise in refrigerator until nearly doubled in volume, 40 to 50 minutes. 6. Adjust oven rack to lower position and heat oven to 425 degrees. For each pizza, sprinkle 2 cups mozzarella evenly over surface of dough. If adding personal toppings put them on before sauce. Spread 1 1/4 cups tomato sauce over cheese/toppings and sprinkle 2 tablespoons Parmesan over sauce. Bake until crust is golden brown, 20 to 30 minutes (20 minutes for convection bake). Remove pizza from oven and let rest 10 minutes before slicing and serving. March 21, 2013 by Tara Gray. i love simple cake, one without a lot of frosting. and i love to bake but sometimes don't have the time to start from scratch. this mix is all natural, with few ingredients, and all you add is butter, eggs and greek yogurt. 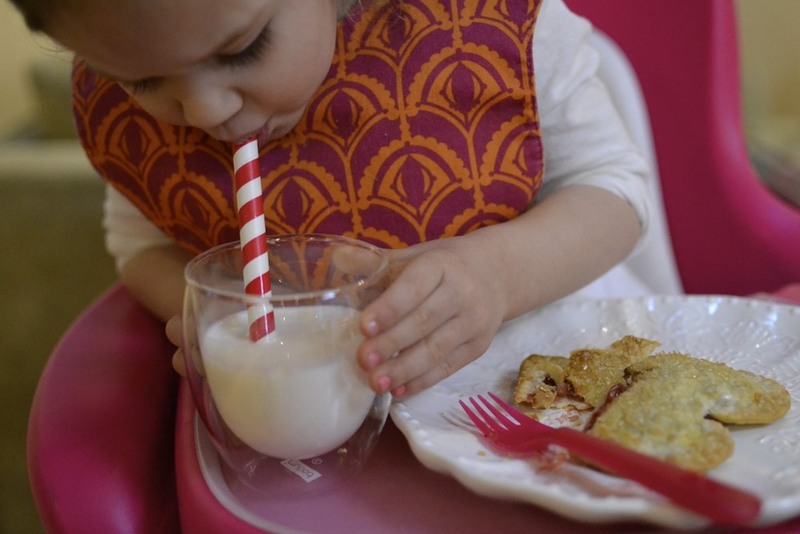 we added in raspberries too. so delicious!! February 18, 2013 by Tara Gray. 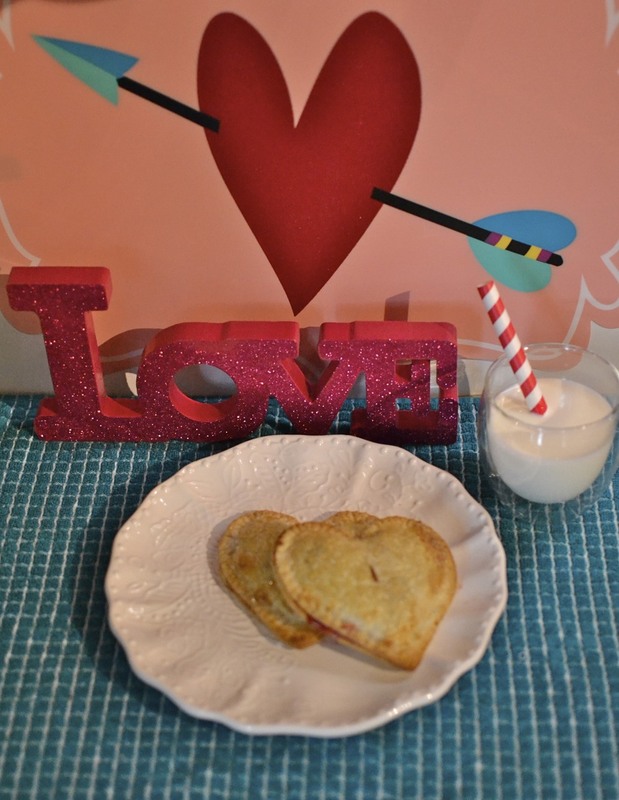 the last time i was at target, i purchased this adorable little heart pie mold. i knew it would be a fun activity for channing and i to do, for a special treat to deliver to our friends for valentine's day. they were simple to make and turned out looking pretty and festive. they taste pretty darned good too....especially when accompanied by ice cold milk and a wide stripey straw. FYI...the pie mold container is deceiving. 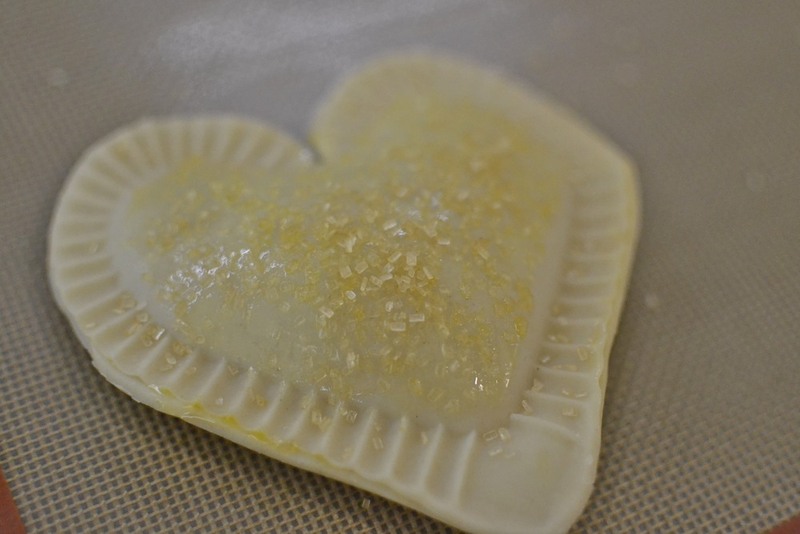 there is NOT a small heart cut out as part of the mold. you could do this if you had a tiny heart shaped cookie cutter but i did not. just so ya know and aren't surprised about it like i was! 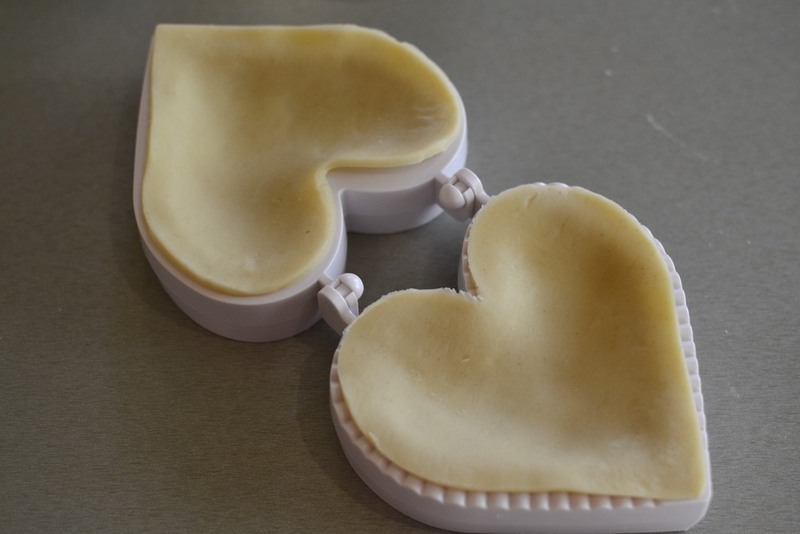 cut out hearts using the back side of the pie mold. 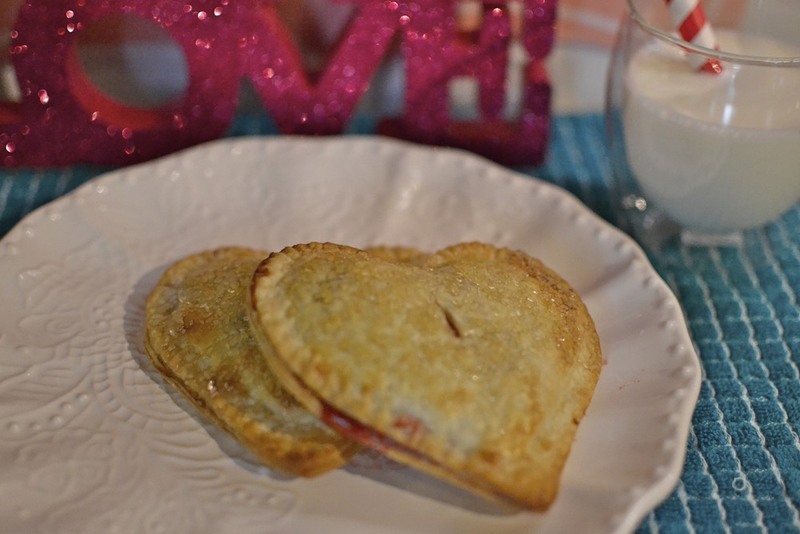 you can get 5 hearts out of one pie crust... so 5 pies out of a box of two pre-made crusts. February 10, 2013 by Tara Gray. this dish was so simple and delicious (as channing says). 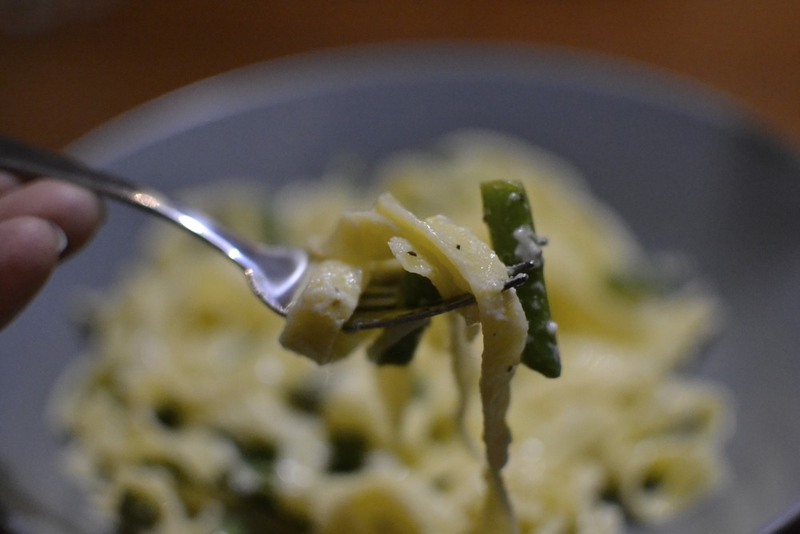 we used our own homemade noodles, which you can see the recipe for here and this very easy lemon asparagus sauce found here. perfect paired with a white wine and probably best served in the early spring time. it made excellent leftovers too! February 4, 2013 by Tara Gray. i have really wanted to do more baking. the problem is, when i make something, it is usually just me eating the majority of it (which isn't so great for fitting into my pants!) however, i would really like to experiment more. we bought a really large bag of pears, at costco, last week so i decided to try to make something out of them. 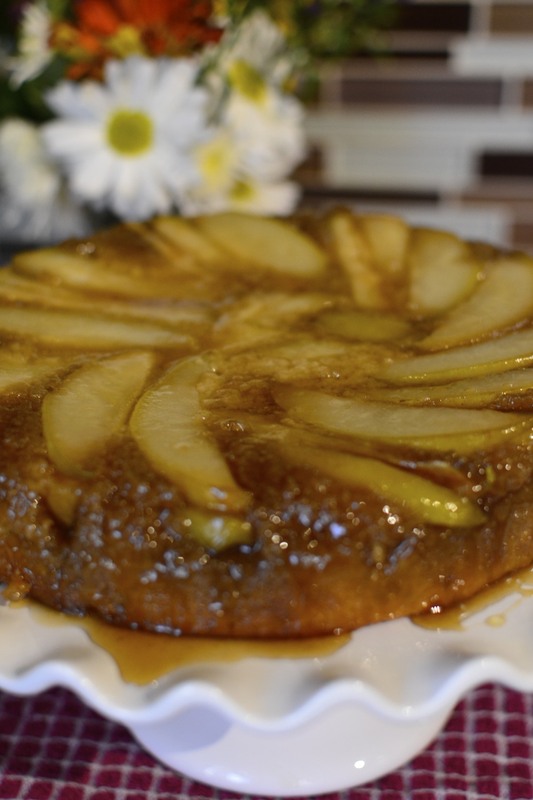 this yummy maple pear upside-down cake was the perfect solution. it is soooo tasty and perfect with vanilla yogurt! i followed this recipe. preheat oven to 350 degrees and grease a 9” cake pan, being careful to coat the edges. in a seperate bowl, beat 8 tbsp butter and white sugar until light and fluffy. gradually add eggs one at a time, along with vanilla. slowly add dry ingredients to wet ingredients, alternating with milk. 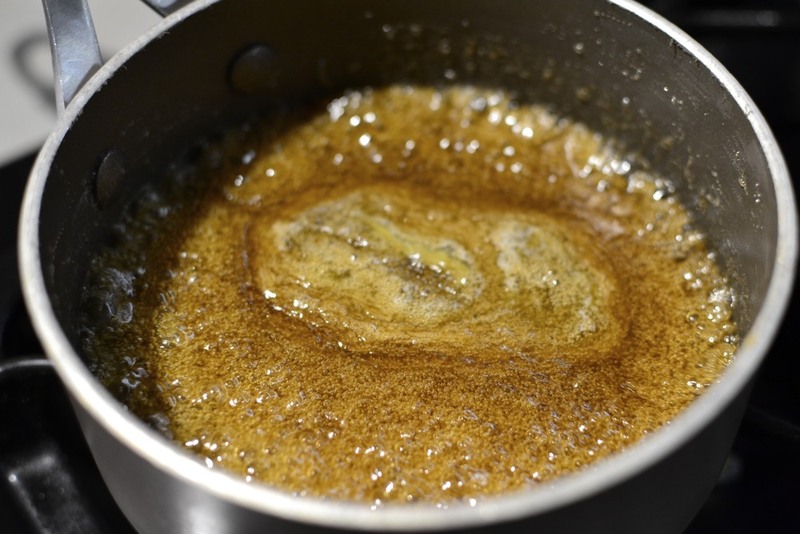 on the stove, bring 3 tbsp butter, maple syrup and brown sugar to a boil and cook for 2 minutes, stirring slowly until sugar dissolves. remove from heat and set aside. once the maple syrup mixture has cooled slightly, pour it into the bottom of the cake pan. arrange pear slices in an overlapping circle on top of the syrup and pour batter over fruit, spreading gently with a spatula for equal cover. bake about 45-50 minutes. allow cake to cool fully before sliding a blade around the edge of the pan to loosen the cake from the edge. place a large plate on top of the pan and flip so that the pan is on top and the plate is on the bottom. January 20, 2013 by Tara Gray. i went with a bit of a theme for luc's christmas presents this year... a pizza stone, pizza cutter and calzone mold. last night, we decided to try out the calzone mold and pizza stone. we had so much fun! channing loved rolling out the dough with daddy and filling up our calzone with yummy ingredients. luc made the dough from scratch...whole wheat for me and garlic/herb for him and the bird. 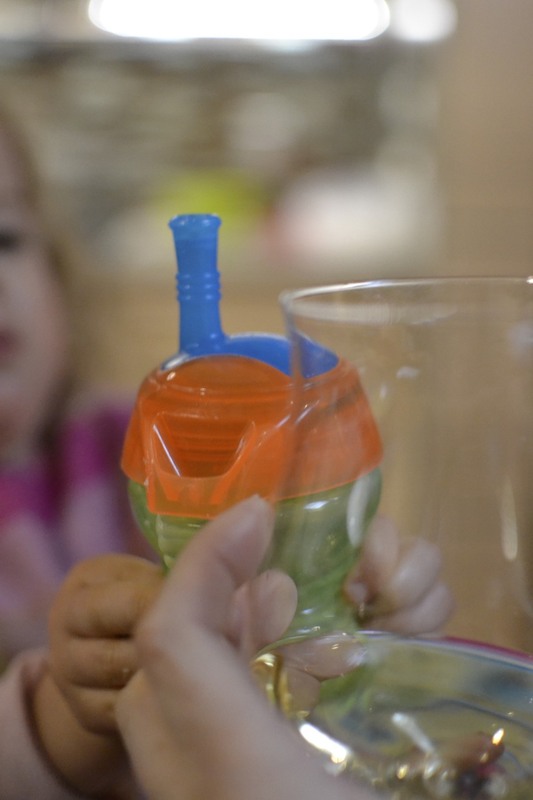 i love making dinner together and experimenting with new tools! January 2, 2013 by Tara Gray.